The author of The Book of Negroes answers eight questions submitted by eight other authors. 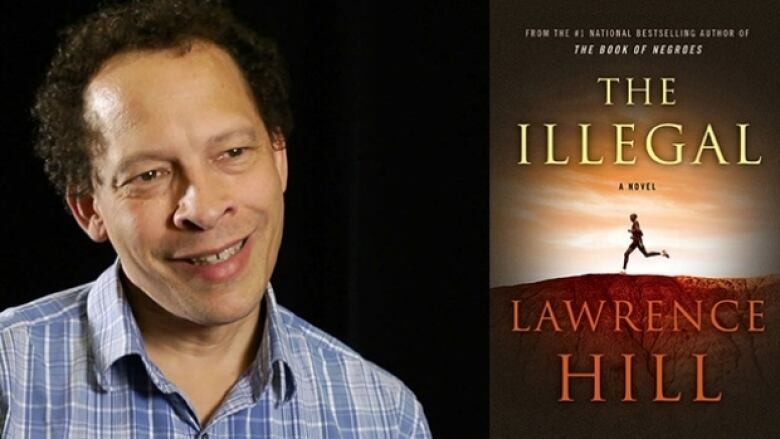 A former Canada Reads winner for The Book of Negroes, Lawrence Hill had a new horse in the race for 2016's battle of the books. Championed by Olympian Clara Hughes, The Illegal is the story of marathoner Keita Ali, who flees his genocide-torn country in hopes of a brighter future. The Illegal went on to win Canada Reads for 2016. Yes, I was shocked when a small group of Surinamese Dutch chose to burn a copy of the cover of The Book of Negroes in Amsterdam. I had never imagined that my novel, which sought to dramatize and make beautiful the life of an 18th-century African woman, could ignite such hatred and anger among peoples of African descent. I found it deeply disturbing, but worked through my thoughts and felt a bit better after writing an essay about the incident, which became the short chapbook dear sir: I intend to burn your book; an anatomy of a book burning, published by University of Alberta Press. 2. Donna Morrissey asks, "How do you deal with daily life while you're in the middle of creating a book?" Many of the parts of daily life — cooking, washing dishes, taking care of children, exercising — are grounding and in some ways relaxing, and make it easier to write. That is, as long as the demands are not overwhelming. 3. Shyam Selvadurai asks, "Do you think the portrayal of certain character types is beyond you? Can you name a character in a novel, whose personality/point of view/ character traits you know you could never write?" Sometimes I'm blown away by extraordinarily intelligent characters, and am not sure that I could convey their intelligence in sufficiently interesting and dramatic ways. 4. Todd Babiak asks, "Do you ever feel so scared in the dark, when you're alone, that you have to turn on a light? If so, what are you afraid of?" I feel nervous when I am all alone at night in the woods. I have had occasion to walk a few times in the middle of the night in totally isolated forests. If I had broken a leg or fallen into a lake, nobody would have noticed or known. One time was outside Dawson City, Yukon, in the month of February, and another time was walking alone in the woods near Kingston, Ontario. In the woods near Kingston, I actually managed to get lost one night until I figured out how to get back to where I had started. I had a flashlight on then, which was weird, because I felt that the bright light would scare off animals (any animal bigger than a small cat is one I don't wish to meet in the woods at night). I felt quite anxious like that, alone at night in the woods, but on each occasion reassured myself that everything would be just fine and that no bear was likely to emerge from the trees, looking for a midnight snack. 5. Timothy Taylor asks, "How important have your other work choices — i.e. the things you've done to make money — been to your literary writing?" They were important because 1) they allowed me to feed myself and my family and 2) because they helped hone my writing skills. I worked for a few years as a newspaper reporter and then for many years as a speech writer. In journalism, I learned to write fast and in conditions of chaos and not to freak out when people started messing with my work. In speech writing, I learned much about human voice and how to get at it on the page. 6. Donna Morrissey asks, "Who has been your favourite character to write so far, and why?" My favourite character to write has been Lula DiStefano from The Illegal. She's lively and colourful, interesting and dangerous. It's hard to get a full grip of her humanity — is she somebody we're supposed to like or hate? I had a great deal of pleasure writing her and I like the way she bounced off Keita, who's a quieter character; he's fleeing genocide, he's suffering and he doesn't have a lot of emotion to express. He needs a vibrant, vivid character around him to shine light on him and make the situation more dramatic. 7. Todd Babiak asks, "When literary prizes rely on audience participation, through social media, do you promote yourself in any way?" I've added an additional step of shameless self-promotion, which is to have a Facebook author page where I post news about my comings or goings and my activities as a writer. Sometimes I weigh in on social issues that mean a lot to me and share things on Facebook that don't have anything to do with me, but have to do with the world as I care about it. I still don't think I could ask fans to vote for me or something like that; I just wouldn't feel comfortable currying their favour. I'm essentially quite shy about asking people to do things for me. 8. Sharon Butala asks, "What is the main question that you wish somebody would ask you, although nobody ever has?" It would be very funny to answer by saying "Would you marry me? ", but that is not truly what I wish somebody would ask me. I asked, and I was lucky enough to get what I asked for, so it is not germane, but still funny to imagine. I am having trouble answering this question, although I do wish to answer it honestly. Let me say, now that I have reflected for a few seconds, that I wish somebody would say, "I have all this great camping gear ready to go out, so why don't you join me on a canoe trip down one of the major rivers in the Northwest Territories?"